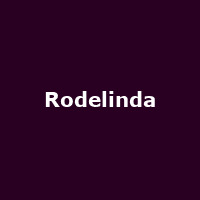 "Widely considered one of Handel's operatic masterpieces, Rodelinda is an epic story of love, power and mistaken identity. Bertarido has been driven from his kingdom by Grimoaldo and is presumed dead, leaving behind his grieving wife, Rodelinda. Grimoaldo will imprison Rodelinda unless she agrees to marry him, thereby allowing him to seize Bertarido's throne for himself. But then the exiled king returns in disguise..."